This is deemed reasonable, proportionate and compassionate. Would the media response have been the same if a church had moved to ban beggars from its doors to protect Christian worshippers? 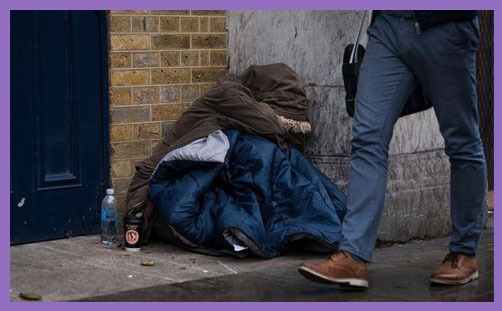 The Rt Revd Karen Gorham, Bishop of Sherborne, feared banning begging and rough sleeping would push homeless people further out the reach of help from charities. And Poole reverend Lucy Holt said the order may result in the “criminalising” of those who need “serious and wide-ranging help”. Katie Taylor, chair of Poole Labour Party, has also condemned the ban and is calling for the council to lift the restriction on sleeping in doorways and car parks. Importantly, Poole Borough Council continues to provide emergency shelter where necessary, as do some well established charities working in the area. The Bishop of Sherborne has not criticised the actions of the Hounslow Jamia Masjid & Islamic Centre or Hounslow Borough Council – perhaps because it’s not her patch. One wonders if she would have criticised Dorset Islamic Centre or the Ismaili Jamaat Khana in Poole if either had taken such draconian actions against beggars or the homeless harassing worshippers there. But the Bishop of Kensington has not united with the Conservatives to condemn the ‘criminalisation’ of these Hounslow beggars, either. Are Muslim worshippers in a Labour-run council ward more worthy of protection from the harassing homeless than residents and businesses in a Tory-run council ward? Or is it that women begging around a mosque are bogus, but those who are begging and sleeping rough in Poole are all genuine? How does the Bishop of Sherborne know this? Is it all simply a further manifestation of the malignant anti-Tory bias of the bishops and other clergy?